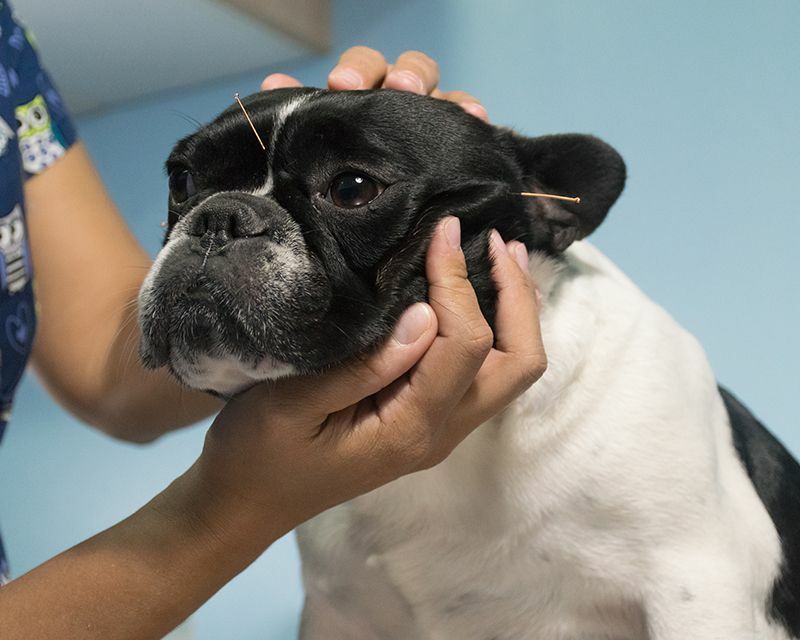 If you are interested in taking a holistic route in your pet’s health care, Betty Baugh's Animal Clinic in Richmond offers pet acupuncture services for cats and dogs! Do you have an aging pet or a pet suffering from arthritis, joint conditions, gastrointestinal or reproductive disorders? Pet acupuncture can help pets with many chronic ailments! Acupuncture is the practice of inserting needles into the body tissue in order to relieve both localized and general pain and inflammation. Pet acupuncture can stimulate the release of toxins and wastes and improve blood circulation and oxygenation.